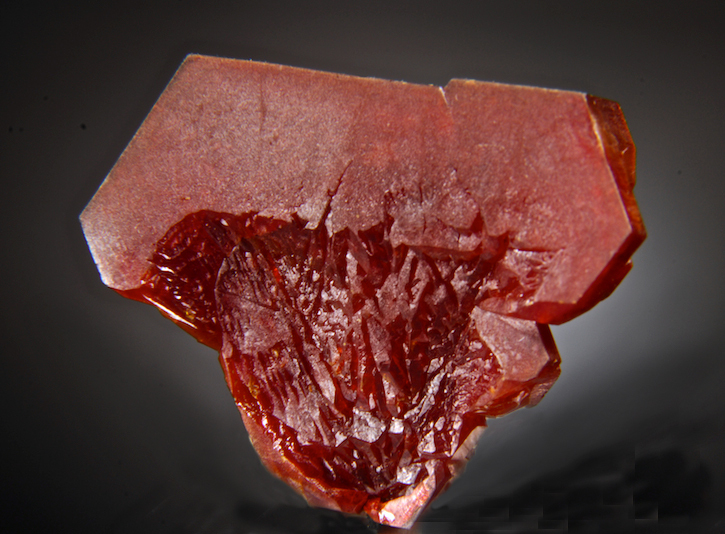 An impressive deep red, complete, exceptionally large singe crystal that is undamaged. A complete floater- there is no visible point of attachment, and the architectural structure is remarkable. Displays well on any side (I personally prefer the "back" side. This was found early (in the 1980's when the first important finds were coming out) and is not like anything seen today. A exceptional and odd form with an elagant look. 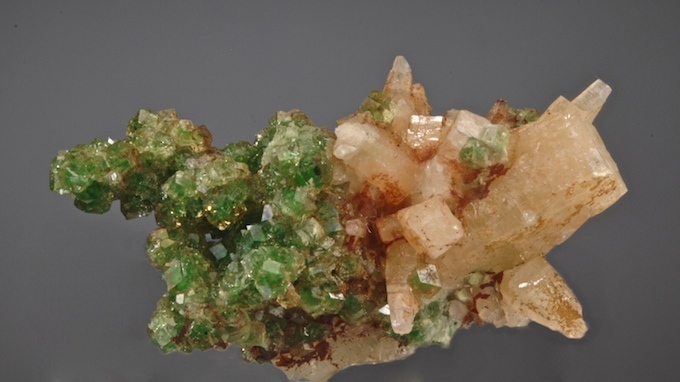 Sharp Dolomite crystals are sprinkled on a stalk of matrix decorated with golden Marcasites and tiny Calcites. 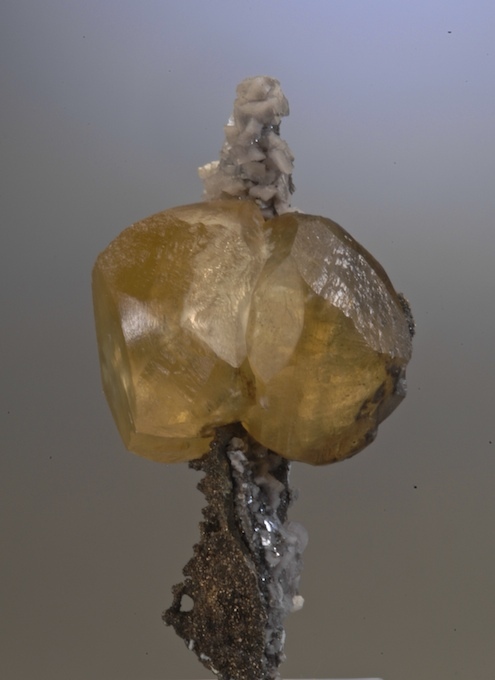 The top of the curving finger of matrix has a light amber colored Calcite that is sharp, complete and transparent to translucent. ALll in all some great esthetics from the Benchmark quarry, more famed for its Herkimer style quartz. 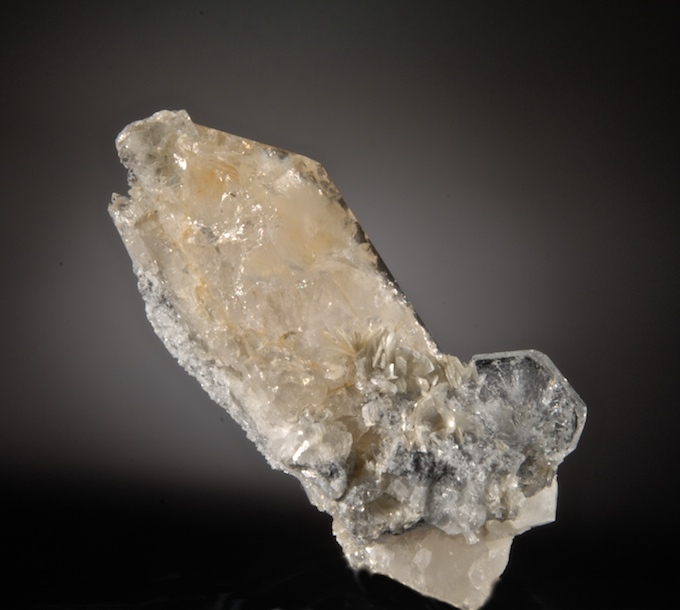 A very fine NY Calcite! 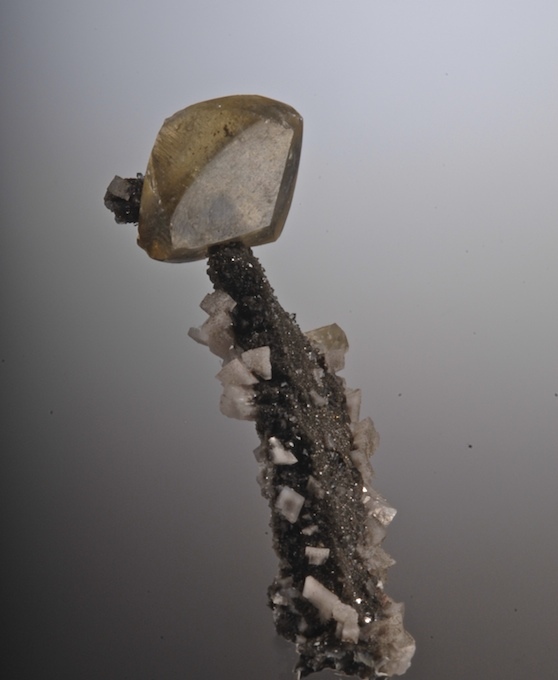 A very odd and esthetic twinned calcite sits on a thin shaft of matrix that has some Marcasite and Dolomite adding nice accents. 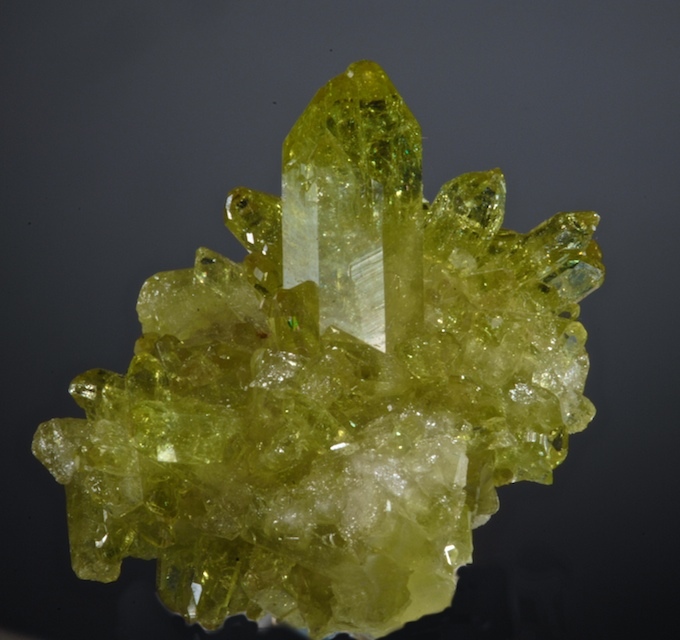 The yellow Calcite has a great contrast to the matrix, and is quite translucent. 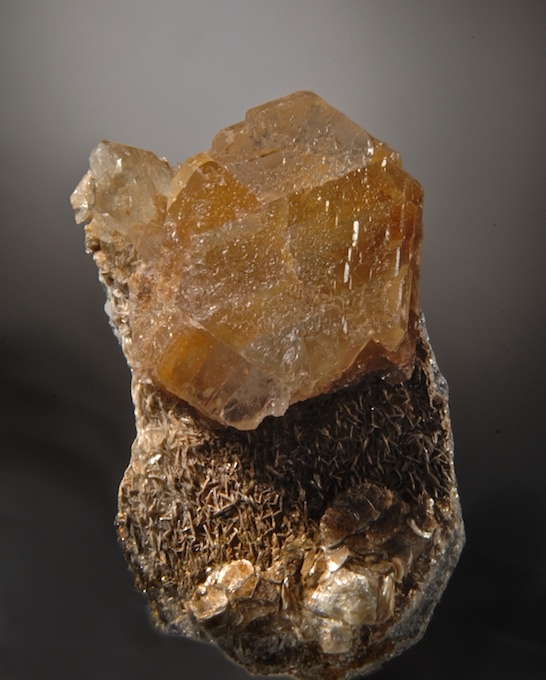 This is the best form of this type Calcite I have seen, it comes from from the amazing NY collection of William Hladysz. Certainly one of a kind. 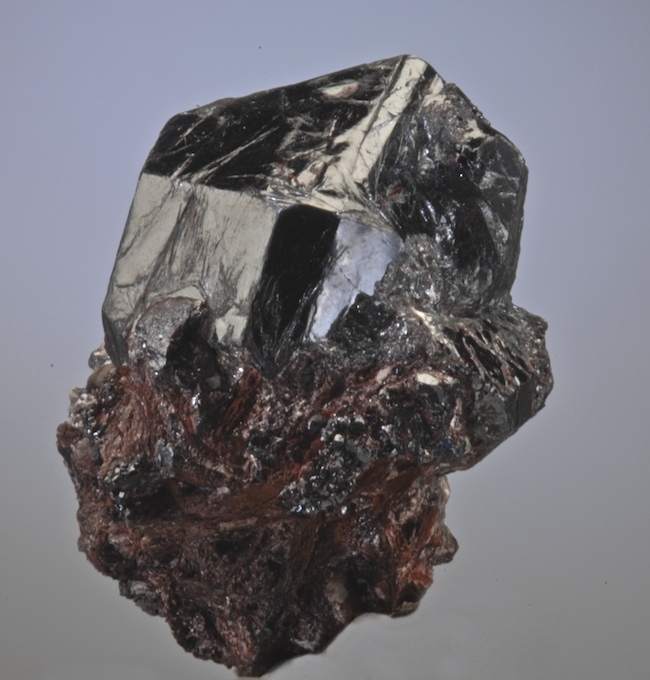 An American classic- Graves Mt Rutile, with a sharp, very lustrous crystal nicely exposed on matrix. No damage, but with the typical matrix contacts these all have. Some faces reflect ruby red highlights although overall this looks deep black. Better in person, a nice small cabinet sized piece that display very well.